Padmavati Shaligram-Gokhale, born in Kolhapur, Maharashtra, was one of the foremost exponents and gurus of the Jaipur-Atrauli gharana. She started learning music at a very young age from her father and mainly from her uncle, Govindrao Shaligram, both of whom were direct disciples of the musical titan Alladiya Khan. With rigorous riyaz she had cultivated a strong and yet, a very melodious voice. Her gayaki had the traditional elements of the Jaipur-Atrauli gharana with the swar–lagav was influenced by the Kirana gharana. She was known for her dazzling and brilliant cascading taans and she could create unending patterns with her taans. Apart from raag-sangeet, she also sang Thumri and other allied genres of semi-classical music and her voice production technique was influenced by that of Begum Akhtar’s. Padmavatitai was a generous teacher and trained numerous disciples. Some of them are Kedar Naphade, Shubhada Paradkar, Sunita Tikare, Anita Sundararajan, Geeta Javdekar, and others. For her contribution to the field of Hindustani raag-sangeet she was bestowed with numerous honours. Sangeet Natak Akademi award, 1988, by the Government of India. Kalidas Samman, 1994-95, awarded by the Government of Madhya Pradesh. She also received an award from the Award from Akhil Bharatiya Gandharva Mahavidyalaya Mandal. Padmavatitai had given her first public performance at the age of 13 and achieved fame and popularity early in life. One of her most significant contributions in the field of music is that she was among the first women from the Brahmin community to take up performing on public stages, thus paving the way for women from the succeeding generations. She was also instrumental in contributing greatly to the acceptance and respect of Thumri among connoisseurs of music. She was a Top Grade artsite of the All India Radio, and performed in numerous concerts all over the country. She also performed extensively in Pakistan before Partition. She also acted in at least 4 Hindi, Marathi (Devyani, 1940) and Telugu movies. 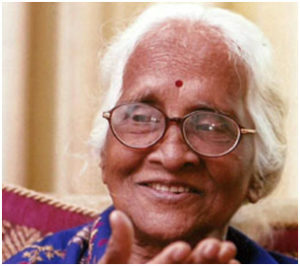 She passed away at the age of 96 on 20th July, 2014 in Mumbai.